Spring is here! The temps are heating up, the grass is getting greener and I don’t know about you but I am eager as ever to get outside and get some fresh air! Spring can be a time for new beginnings and why not now to set yourself up for some health success heading into the summer? Make it your best summer ever and let Fitness You Can Live With help you get there! STRUGGLING WITH WHAT WORKOUT IS BEST TO SHRED FAT AND BUILD MUSCLE? I can help you! I offer one on one customized training ,small group training and I can set you up with workouts to do at home or on the go. You don’t need a gym membership or an elliptical to get you fit, you just need the desire to move your body and work hard. STRUGGLING WITH GROCERY SHOPPING? Yeah it can be a little overwhelming at the store trying to make the right decision of what’s good for your body. I can help you take the guesswork out of it with a grocery store tour to help you read labels and spend your money wisely on good for you foods. DO YOU KNOW WHAT YOU ARE EATING? I come to your house and get in the pantry and refrigerator and help you analyze some of the current foods you are eating and how we can replace them with better options for the health of yourself and you family. Check out my services at www.fitnessyoucanlivewith.com I offer a full range of things to help you get your healthy lifestyle rolling this spring! Lets get it rolling by checking out my You tube channel and website where you can find some recipes and workouts to get you started. 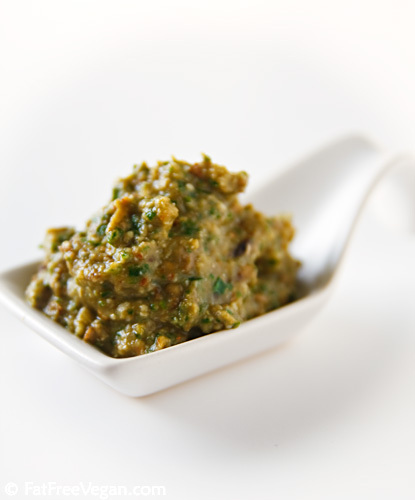 Here is a nice Spring recipe for eggplant pesto to get you eating fresh and using some of that good stuff they sell in the produce department! 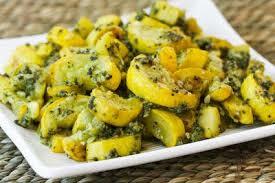 Here’s a superb dairy-free pesto that is very simple to prepare. It is equally delicious as a dip or topping served at room temperature, or as a warm sauce over pasta, vegetables or grains. Heat water in a large non-stick skillet. Add onion and garlic and cook over medium-high heat for 5 minutes. Meanwhile, cut eggplant into 1/2-inch cubes. ( I like to save part of the other eggplant and cut into slices to pour some sauce over) Add to onion, cover, and reduce heat to medium. Cook, stirring often, until eggplant is very soft, about 25 to 30 minutes. If necessary, add a little more water to keep eggplant from sticking to pan. When tender, transfer eggplant mixture to blender. Add remaining ingredients and process until completely smooth. Mixture will be thick. Serve immediately while warm or at room temperature. Store leftovers in refrigerator and reheat to serve. This mix works great served on top of quinoa and roasted vegetables for an easy make ahead meal for the week.